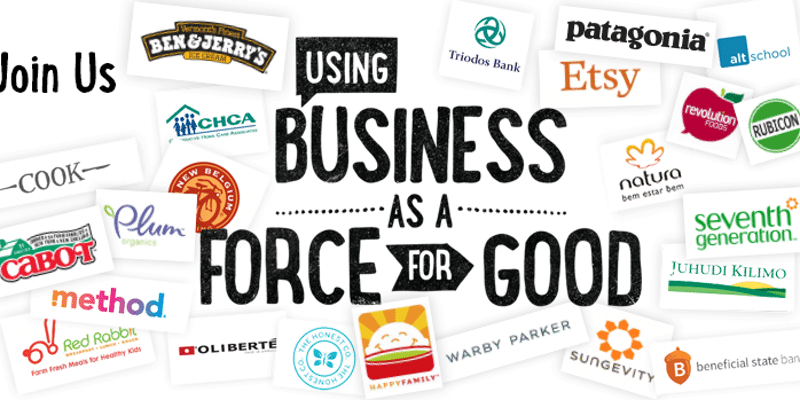 New research suggests businesses certified as B Corps grew 28 times faster than national economic growth (0.5%) in the past 12 months. A third of certified UK companies said they had attracted new audiences since joining up, it found, while nearly half stated that prospective employees had been attracted to the business because it was a B Corp.
Well known B Corp brands include Patagonia, Ben & Jerry’s, Kickstarter, Hootsuite, Ecover, Pukka and Ellas Kitchen. “It’s great to see this research that reinforces our view that purpose and profit can go hand in hand,” said Mark Cuddigan, chief executive at Ella’s Kitchen, which was certified two years ago. B Corp has been operating in the UK for two years, and to receive certification you need to pass a robust impact assessment, plus update your company governance documents. “The word ‘revolution’ is overused these days – but with the range and calibre of businesses that are part of the B Corp movement, who are so committed to using their business as a force for good, it’s hard to deny that meaningful change is under way,” added Katie Hill, executive director at B Lab UK.